The City of Colwood Public Works Department works hard to keep our city clean, safe and running efficiently. One important way they do this is by offering the annual Spring Clean Up program. The program is offered at Colwood City Hall to Colwood residents for two days each spring. CASH ONLY: attendants are only able to accept cash payments. Appliances, batteries, automotive parts, barrels, bathtubs, bikes, branches with trunks no greater than 100mm (4”) in diameter, bricks, cardboard, carpet, clothing, compost, concrete blocks, electronics, fridges, freezers, furniture, glass, grass clippings, hot water tanks, lumber, rims, rocks, sinks, sports equipment, stoves, de-rimmed tires, toilets, underlay, wire cut into 1 meter lengths, wood waste. Household garbage, drywall, gypsum board, tree stumps, tires attached to rims, paint, oil, oil tanks, styrofoam or other toxic household hazardous wastes and propane tanks. *Note: A truck load is based on the vehicle being loaded to the top of the standard box height. Colwood City Hall is located at 3300 Wishart Road in Colwood. 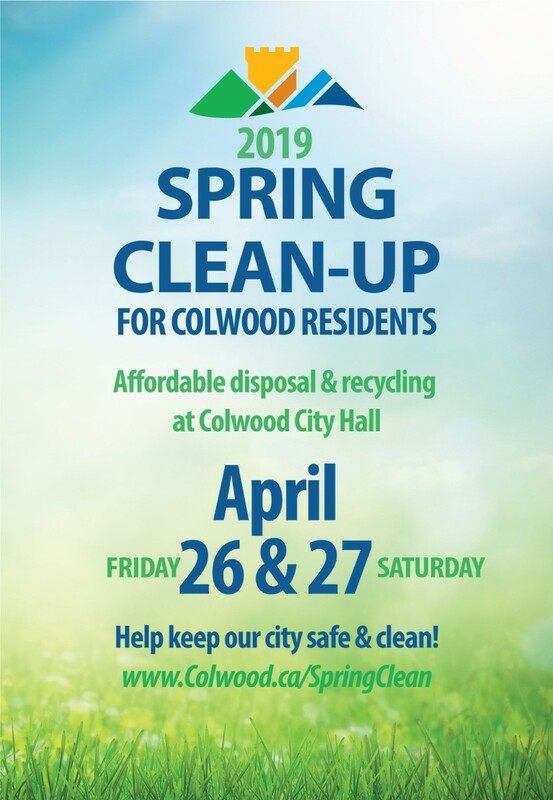 Contact Colwood Public Works at 250-474-4133.